Tag Archives: For Peter’s Sake! The cover brings us promise that snobby Shirl will earn our respect for the first time since her story started. Shirley shoves her shoeshine brush into the face of a snobby classmate for insulting Alice. Such an unladylike but ballsy move raises our hopes that snobby Shirl is becoming more human. But when we learn that Shirley still looks on Alice as a servant, our hopes are dashed. This is one girl who should have lived in Victorian times. It’s the final episode of “For Peter’s Sake!” Peg the pram does not seem to have fulfilled her promise to cure Peter although she has cured every other baby rocked in her. But there is a last minute surprise to ensure a happy ending. Another Alison Christie story, “Stefa’s Heart of Stone“, starts next week. Jinty must have liked to keep her writers as busy as her artists. Bridey finds a man with influence who believes her father is innocent. But fate, in the form of a mob and a gang of thieves, is soon to cut off that avenue of help. David, self appointed king (and loony) of Glasgow, is the latest problem in “Fran of the Floods”. He’s taken Fran and Jill prisoner. All the same, Fran finds herself liking him for some reason. Will this help to sort things out with him? In “Horse from the Sea”, Tracey gets injured when the staircase collapses. But she could have sworn it was sound earlier. And what about those shots somebody fired at her on the moor? Sue is causing more trouble for herself in “Sisters at War!”. And now it looks like she’s going to be blamed for something she hasn’t even done and get into trouble with the police on top of everything else. Mitzi is striking more difficulties in keeping her “Champion in Hiding” fed because of her horrible aunt. Could a paper round be the answer? Willa gets off her wheels to help a surgeon who needs a theatre nurse. Next week we will see if she does prove herself this way. Alison Christie is credited with writing a number of stories in Tammy. She recently contacted this blog and clarified that she also wrote a number of stories for Jinty and other IPC titles, as well as for a number of DC Thompson titles. She continues to write for children, using her married name, so do look for Alison Mary Fitt when searching her out! She kindly agreed to do an email interview for this blog, for which many thanks are due. 1 I saw a little on the Scottish Book Trust site that you started writing for DC Thomson on leaving school. Can you tell me a bit more about writing for girls’ comics and how long that career lasted? For instance, what titles did you write for, and on what basis (in house, freelance)? You said on the Scottish Book Trust site that you were “at one point turning out an episode a week for six picture story serials” – when would this have been, and how did you even manage it?! 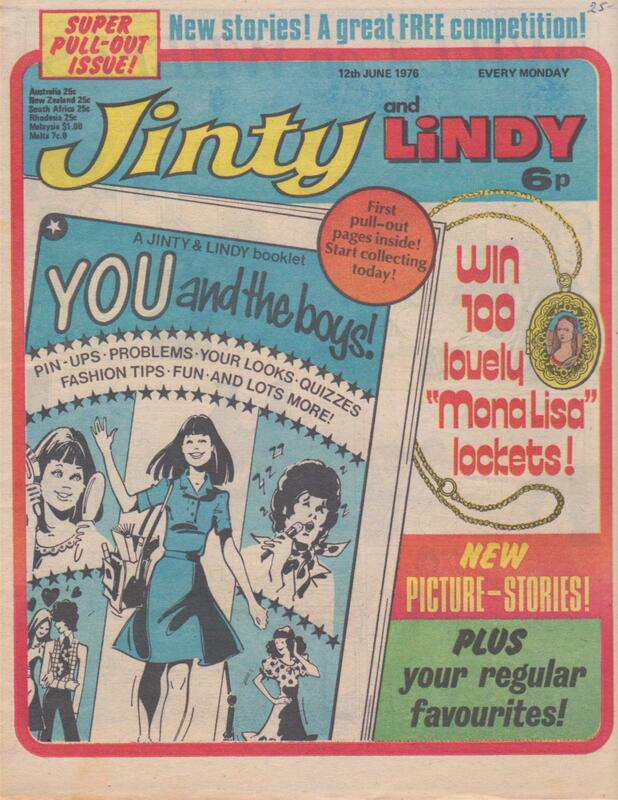 On leaving school I worked in DC Thomson as a junior sub editor on Bunty, and was soon subbing scripts that came in from freelance writers. However, at that time, some of the serials were written in-house, so I got my first chance to write a serial, called “Queen of the Gypsies”. Later, I was moved to their new nursery comics which came out by the name of Bimbo, then Little Star, then Twinkle for girls. I wrote lots of text- and picture-stories for these, in house – though freelancers were used as well. After I got married, I still worked in-house at DCs… but then had 3 children in quick succession – so left and went freelance, submitting scripts for Twinkle, which had replaced the other two titles. 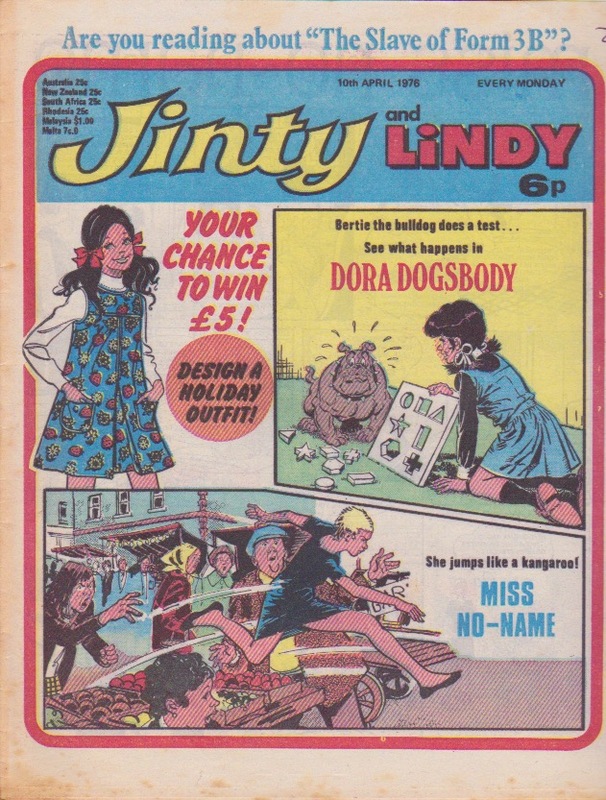 I also freelanced for the various DC’s girls magazines, Judy, Debbie, Mandy, Nikki, Tracy etc…writing picture stories for them, though oddly enough, didn’t ever submit any story-line to Bunty, the mag I started on. Then I thought I’d branch out and give IPC a go, and submitted a story-line to Mavis Miller of Jinty [at that point still editor of June & Schoolfriend] . She accepted it right away, and there began my freelance work for IPC, with June, Jinty, then Tammy, some stories for Misty – and, later, when the magazine Dreamer (for younger girls) started, and included photo stories, I wrote a serial called “Who Stole Samantha?” about a missing doll. 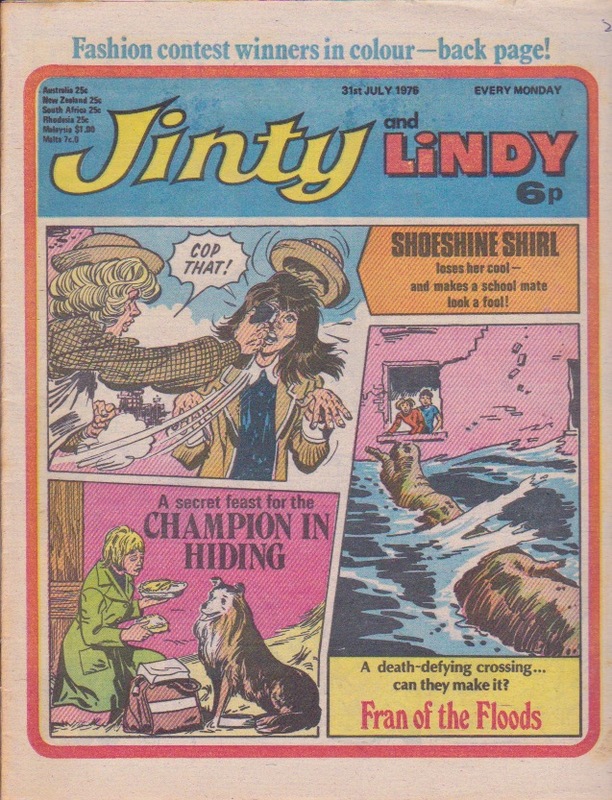 Dreamer was short-lived, however, as was Penny, another IPC mag for younger girls. I wrote a serial for that entitled “Waifs of the Waterfall”. I have to say DC Thomson was a great training-ground as far as writing picture stories was concerned. 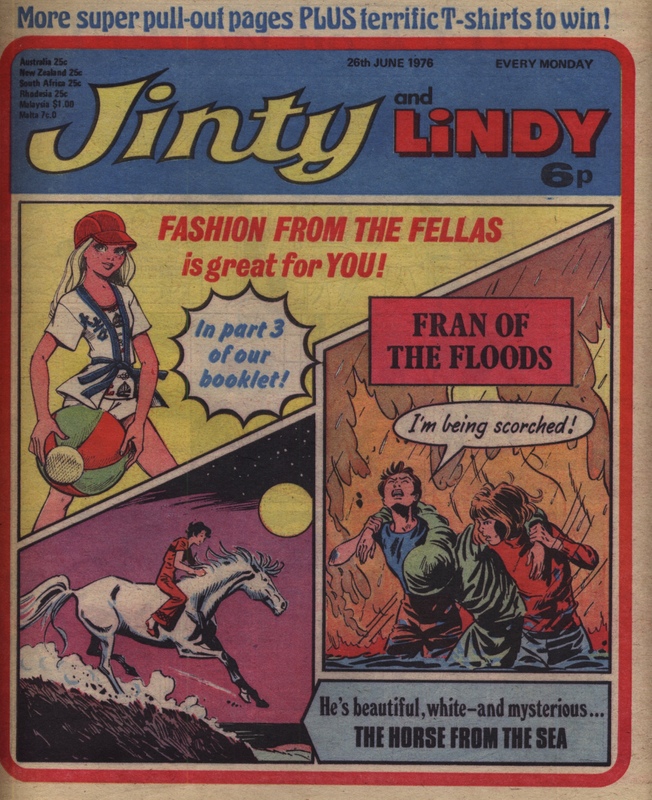 Sadly, Jinty/Tammy bit the dust around 1985, and suddenly vanished without any notification of this to their writers or artists. I continued writing for the DC Thomson stable of girls’ papers, but they all gradually gave up the ghost. I have never stopped writing, though – and am now writing children’s books. Six serials a week? Yes, at one point I was doing this, despite having 3 young children, working mostly at night when they were in bed. 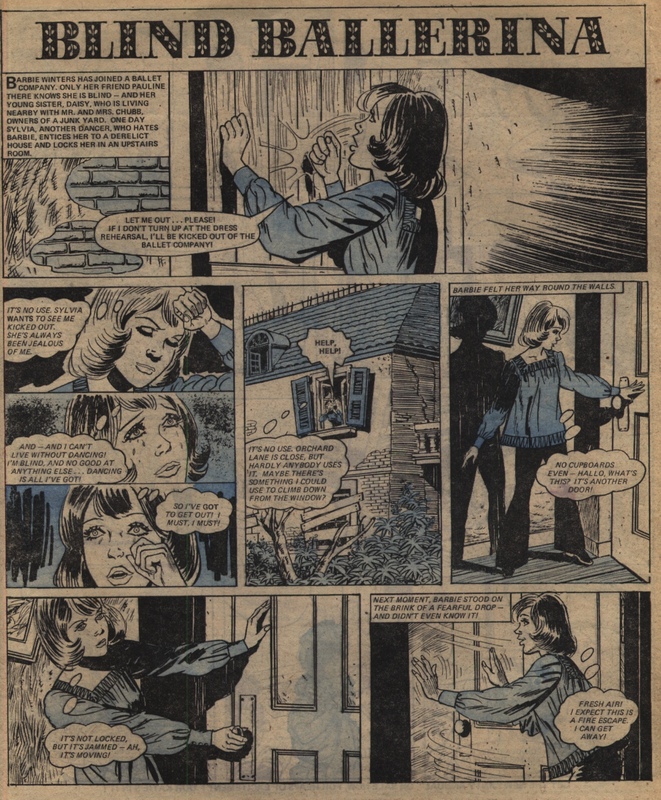 One of the freelance writers for one of the DC girl’s papers had died, and I was asked to finish his serials – so, along with 3 other serials for DC girl’s mags, plus a couple for Tammy and Jinty, that made six stories at that particular time. 2 What stories did you write in your comics career? Are there specific ones that stand out to you at this distance in time (for good or for ill)? See also the list on Catawiki of titles credited to her – from issue 590 to 684 (last issue of Tammy was 691). NB number 590 was the first one to regularly credit creators and it stopped doing that a bit before 684 by the looks of it. Titles in [square brackets] below are credited to Alison Christie on that source. Olwyn’s Elm A storyteller story, may have been published in another title? I may well have written more serials than these, but foolishly did not keep files of them all. I loved writing them all – but liked the heart-tuggers best, of which there were plenty! I think “Somewhere Over the Rainbow” was one of my favourites. I had the 3 children spending Christmas in a concrete pill-box. On mentioning this to my driving instructor at the time, who was a retired army major, he said, “Must have been bloody cold!” I liked “Always Together” too – and “Stefa’s Heart of Stone”. 3 You have mentioned separately that Keith Robson asked you in later years whether you were the writer on “The Goose Girl”, so clearly artists didn’t (always?) know who wrote the stories they worked on. Was this the usual way of doing things? It looks like many of your stories were illustrated by Phil Townsend; how aware of this in advance were you, and did it mean that for instance you had the chance to write to his strengths, or anything like that? No, artists would not likely know who wrote the stories they worked on, unless the name of the writer was somewhere on the script. I had no say at all in who illustrated my stories, just sent them in, and the Editors farmed them out to an artist. Which is why I had no idea it was Keith Robson illustrating the Goose-girl, not that at the point I’d have known who he was. Only when Tammy started to put the author and illustrator’s names in, did I know who the illustrators were, mostly Phil Townsend and Mario Capaldi, both talented artists. I never met or communicated with either of them. 4 On the blog, we’d love to fill in more names of people associated with Jinty and related titles. Do you remember any other writers or artists that you worked with or knew of? Do you have any memories of working with them, directly or indirectly? 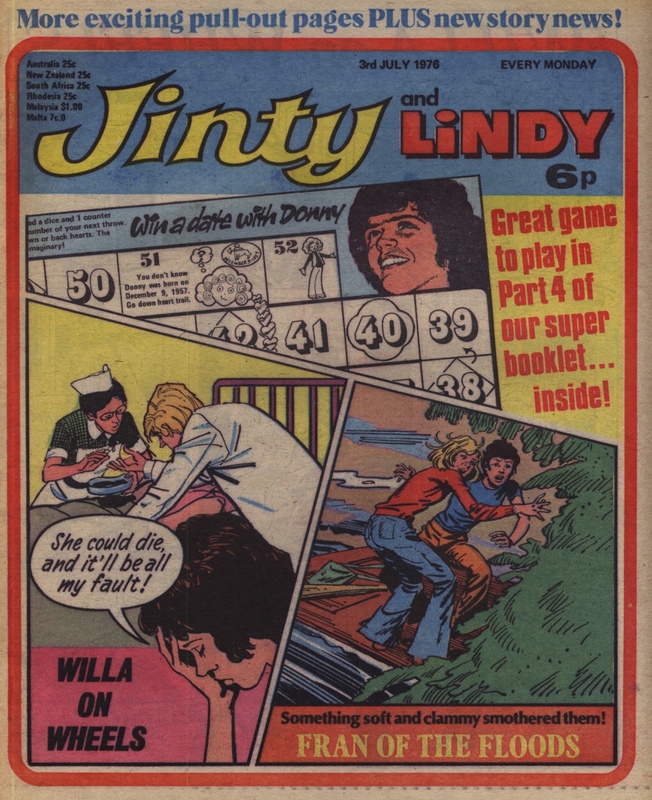 Sorry, but I don’t know of any artists, writers, who wrote for Tammy, Jinty, at that time – being freelance and working from home meant I didn’t meet any. I did meet Mavis Miller , the Jinty editor – but then she left to get married and I did not hear any more about her, though I did try to find out for a while. Also met Wilfred Prigmore. But I have never actually met him. I did know the in-house artists at DCTs, but mostly freelance artists were used from outside, and I didn’t know them either. 5 Clearly there were similarities in your stories for Jinty: they were often tear-jerkers (Stefa, Bow Street Runner, Somewhere Over The Rainbow) and many of them illustrated by the same artist. Perhaps because they were drawn by different artists, I would identify a slightly different vibe about some other stories: The Goose Girl about independence, and Darling Clementine, a sports story with a ‘misunderstood’ angle. Were you ever asked to write to specified themes, formulas, or ideas given by the editorial department, or were you left to your own devices and inspiration? Yes, I was asked to write to a specific theme, but only once. Mavis Miller asked me to write a serial based on Catherine Cookson’s The Dwelling Place. Which resulted in “Always Together”. Many thanks again to Alison for sending in all this information – and of course for writing so many of these excellent and well-loved stories in the first place! Many thanks also to the folk on the Comics UK Forum for the detective work in finding some original titles and dates of publications noted above. 6 You mention DCTs as a great training ground for writing comics serials. Can you tell us anything of the tips or techniques you either were specifically taught, or learned by osmosis? 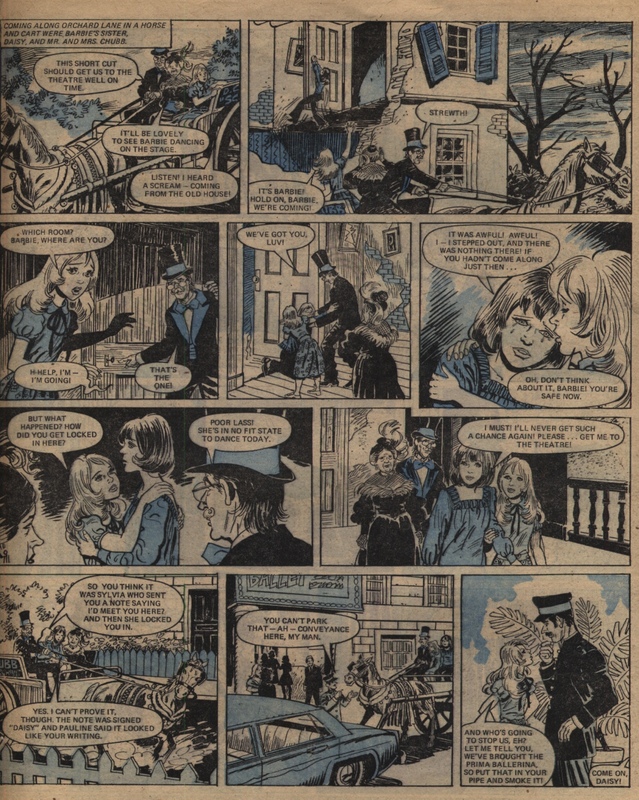 For instance, the style of these comics is to plunge straight into the story headlong – in The Spell of the Spinning Wheel, the father is lamed in the first couple of pages – and the protagonists are very central to every page and indeed almost every panel of the story, so that very little is told without reference to that main character. And perhaps there are also differences between boys’ comics of the time, with lots of action and less mystery, and girls’ comics? Re training in DCT, nobody actually ‘trained’ me – but subbing other freelancers’ scripts as they came in was very informative. Can’t think why as a seventeen year old, (I was only sixteen when I started on the Bunty) I was allowed to do this – but after all this subbing I had a fair idea how to write scripts myself. The main point was to keep the story flowing from picture to picture – thus the captions at the top or sometimes bottom were important connectors to the following picture. Also, the last picture was always a cliff-hanger – so the reader would want to buy the comic the next week! The stories always had a main character, who did feature in all or most of the pictures, either prominently or in the background, which was fair enough, as the story was all about them. Re boy’s comics at the time – yes, they were action-based, fighting, war stories, and adventures as you would expect, not full of emotional stories like the girl’s comics were. 7 Did you keep any copies of the original scripts? Have you ever (did you at the time ever) compare the script you wrote with the resulting printed version, and notice differences, big or small, for better or for worse? Yes, I have copies of some of the original DCT stories I wrote for their girl’s comics. Re comparing my original script to what it ended up as on a printed page – I guess there might have been some minor changes to the text, as they likely had people subbing freelance stories that came in down in IPC too. I really can’t remember. But I was always happy with the artwork on all my stories.